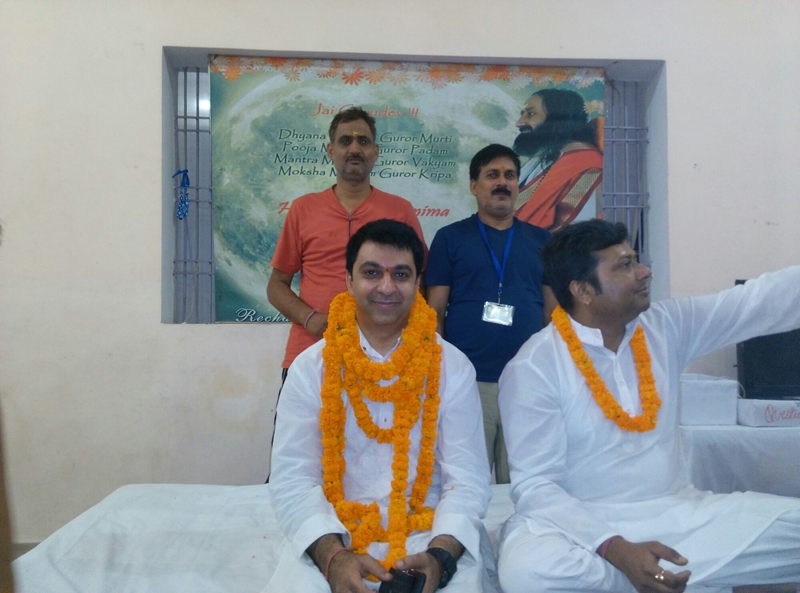 Art Of Living Buxar team had organised an Advanced Meditation Program in Buxar(Foundation School Buxar) from 4th of April to 8th of April 2018. 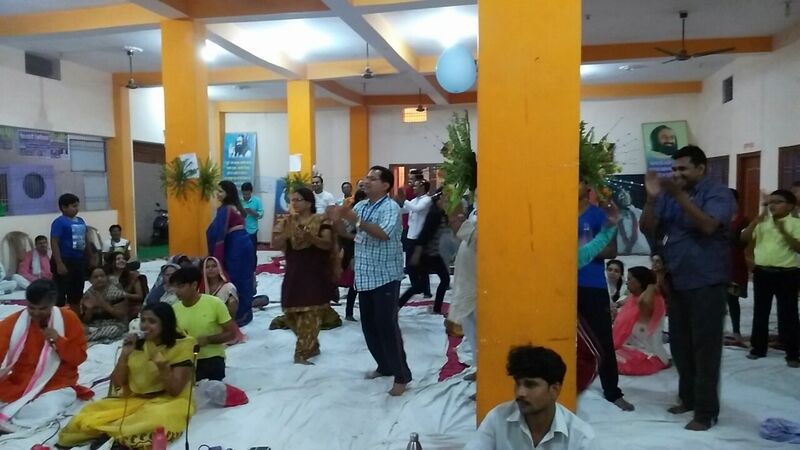 Many participants got enrolled for this Program and it was taken by our International faculty Mr. Anand Desai and Mrs. Nimisha Desai. 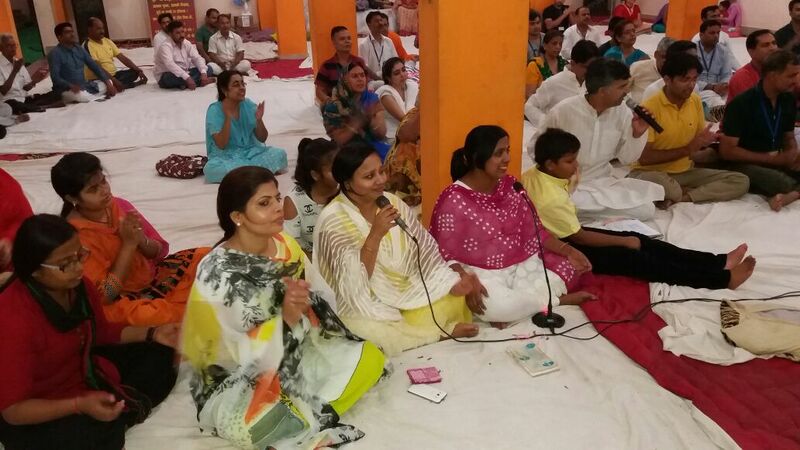 Participants were very happy to have teachers like them because of their way of talking and guiding. 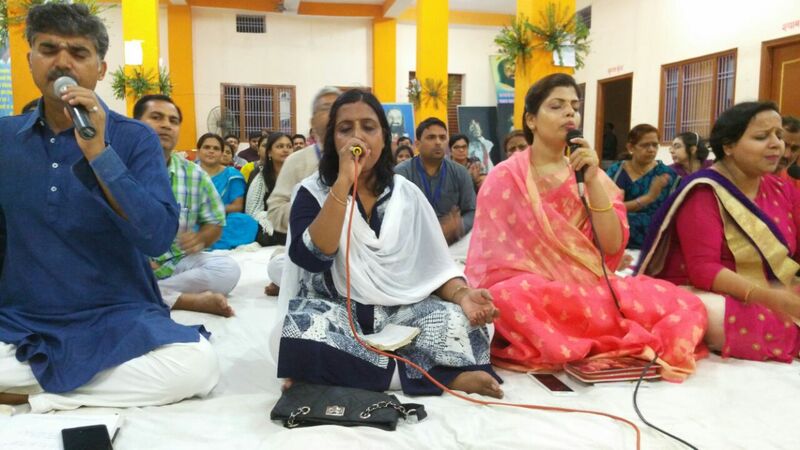 Anand Desai and Nimisha Desai singing & chanting skills have appreciated by all of listeners. We are happy to have faculty like them. 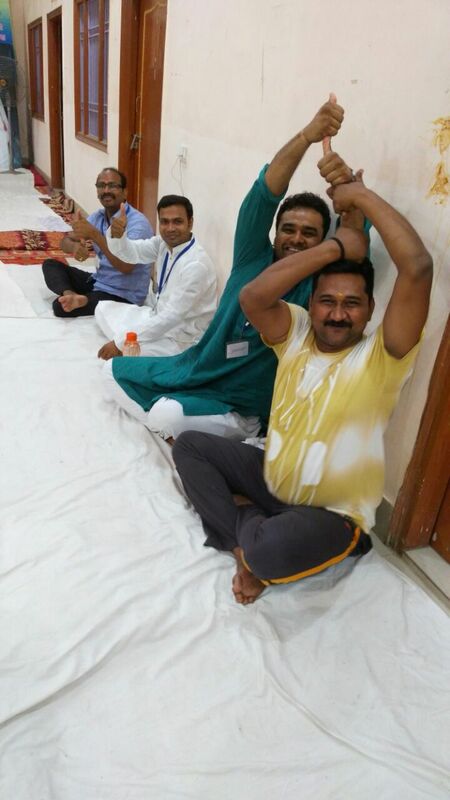 For this particular session our organizers gave their 100% to make this session memorable. On the last day, participants shared their experiences about the Program and we are sharing their experiences. I am feeling happy and energized. I got new friends. Everybody was treating others as family members. I am focused towards my goals. I feel that my confidence level has increased. 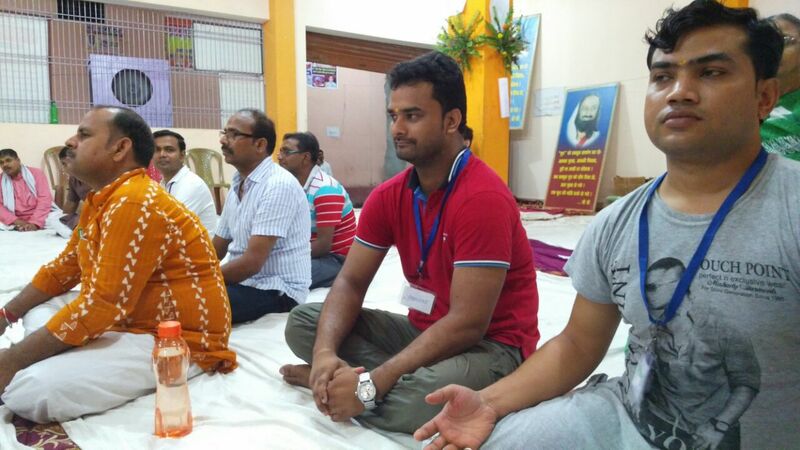 After doing advanced meditation course, I started meditating on a regular basis. 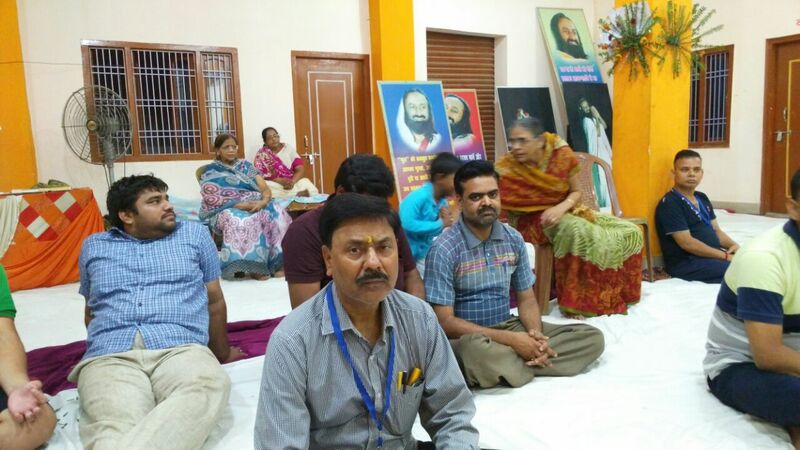 Meditation makes me feel more relaxed and keeps me more active during entire day. I can feel the change in me. I used to have low on confidence. Meditations helped me in fostering my confidence. 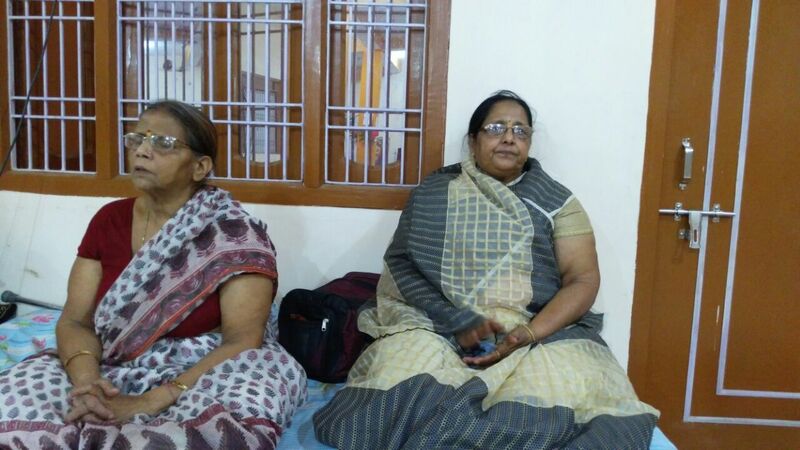 My parents are very happy after the course, as they can see much positivity in me. 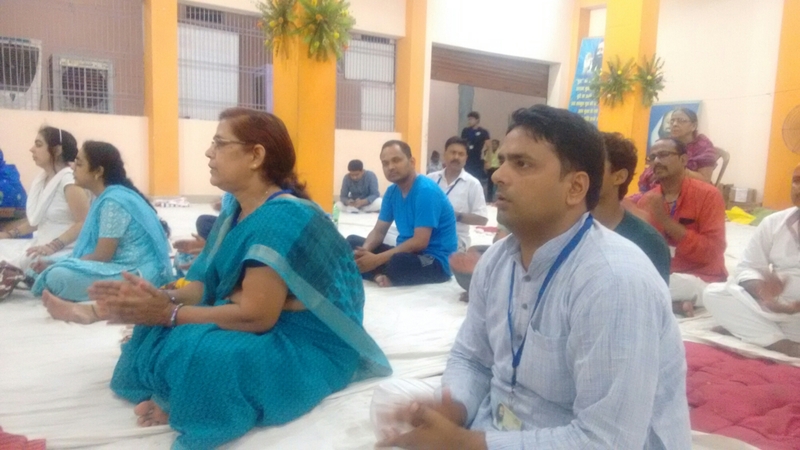 First, We are thankful and grateful to AOL Buxar team who informed us about it. 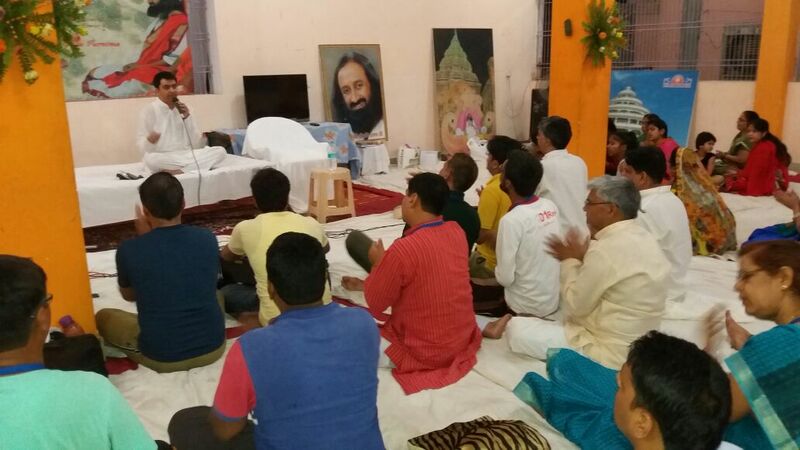 We learnt many things like Yoga, Satsang, Meditation, Pranayam and lots of things. We never ever thought that We will be changed after doing it. We felt ourself very positive, very calm, happy and cool. 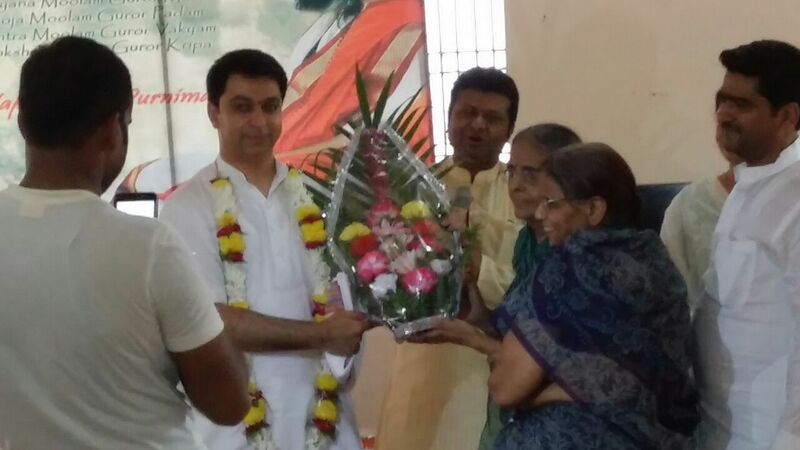 After completing 2nd Advanced Course of my life, I felt myself and want to leave alone in leisure time. I started talking less and if I feel to talk with anyone then I talk but only few words because I don’t want to talk without any reason. I think, unwanted words break our inner energy. There is a mystery in silence and found it. Because of it now I can keep control over myself and want to be with myself. 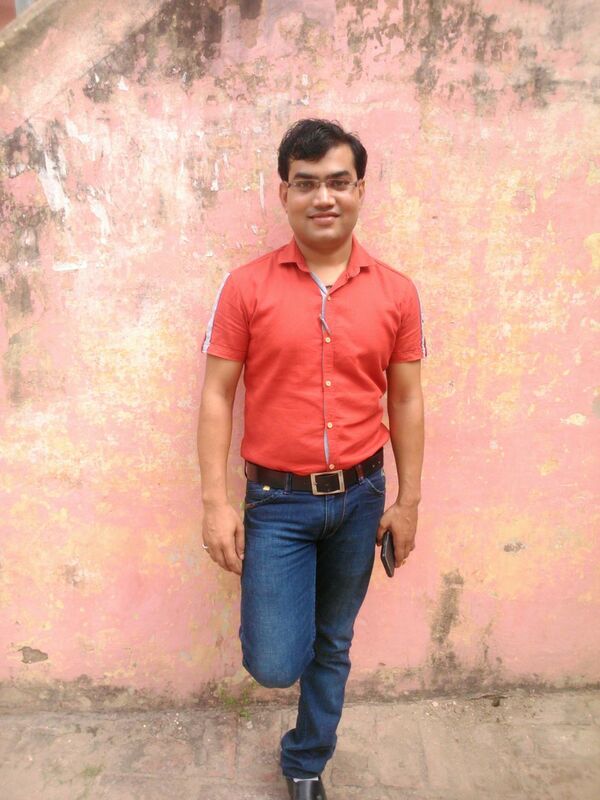 I am feeling something special like Kundali Jagran, Nadi Shodhan, Shatchakra Pargaman, especially the power of Band after Bhastika, it provides lots of energy to me. 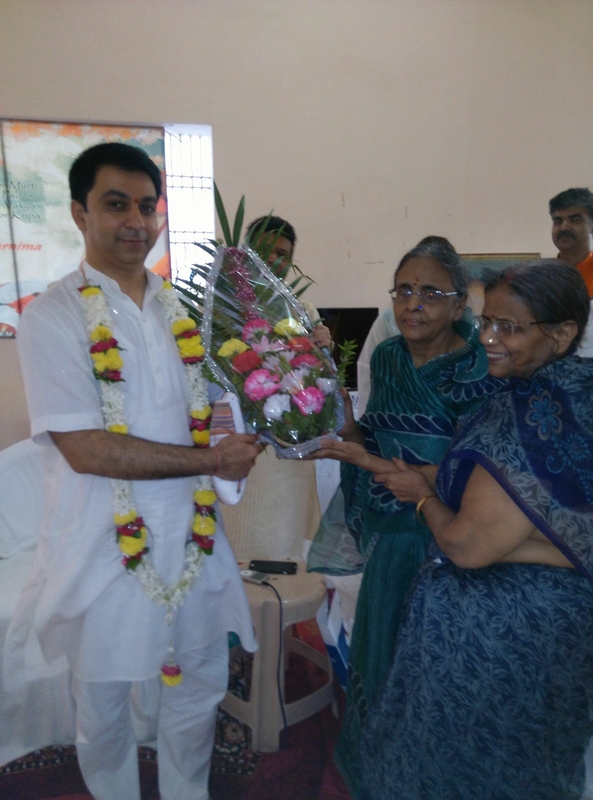 I have many things to share but in few words I am unable to explain everything and in last I want to say one thing that I am happy to have teachers like Anand Desai and Nimisha Desai, many participants, organisers and lot of sweet memories which are unforgettable. 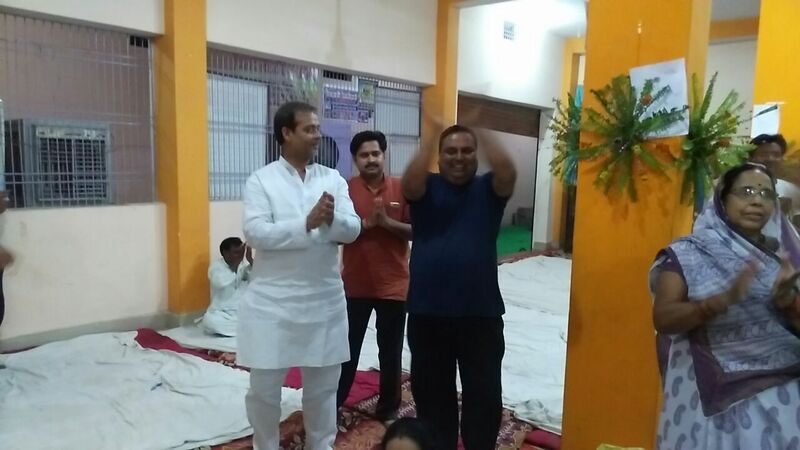 Mr. Anand Desai (The lead faculty of the course) visited the city (Buxar) for the first time. He said he loves the place very much. Further he added that he likes the way people behave here. He also said that he found the place interesting and would love to come here again. 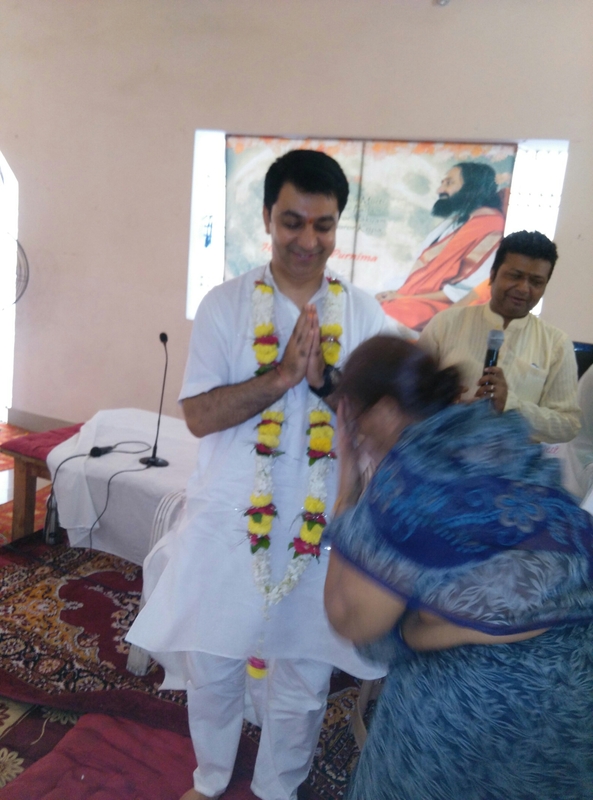 On last day of Advanced Meditation Program Anand Desai and Nimisha Desai were honored by Vikash Ojha, Shri Hare Ram Pandey, Deepak Pandey, Varsha Pandey , Jitendra Pandey and our some core volunteers. 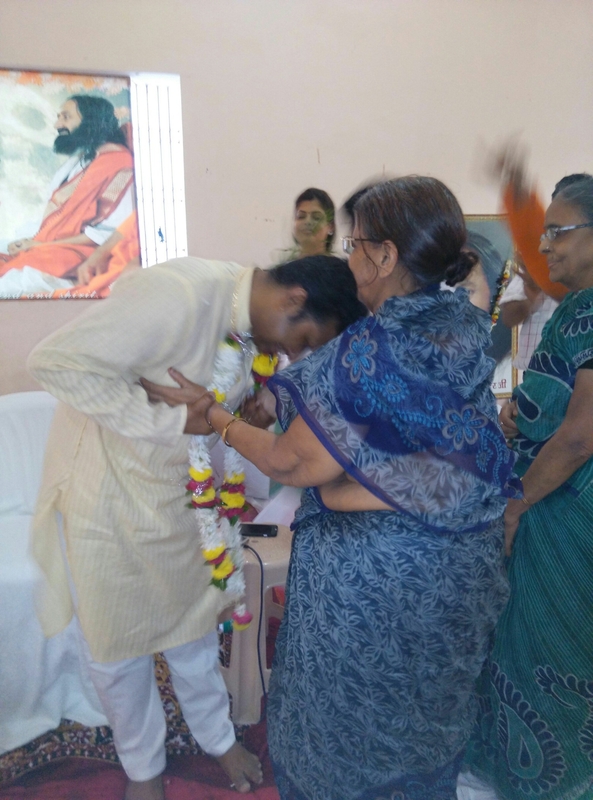 We were so happy on that day because of Anand Desai’s presence in our town for special event. 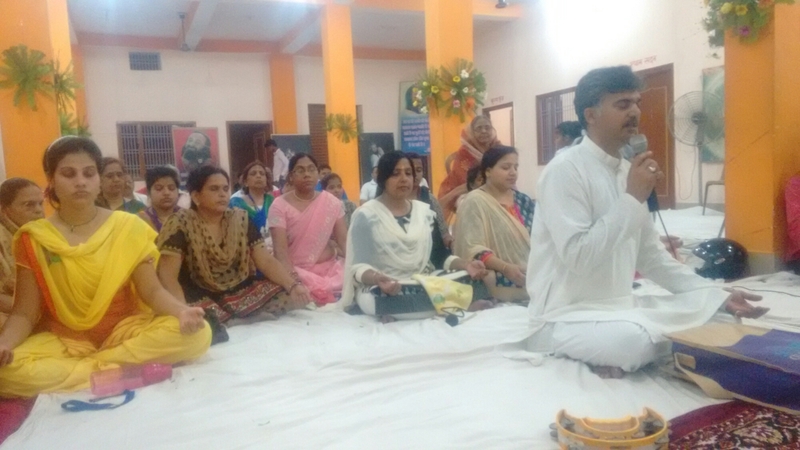 We were guided by Anand Desai and got bless. 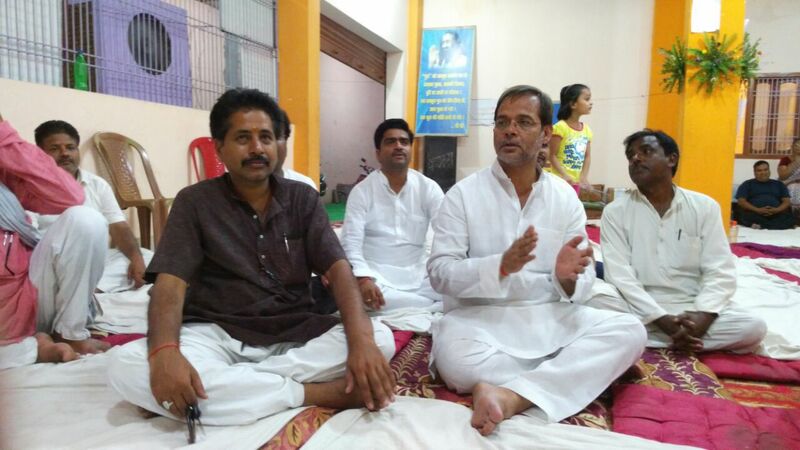 For this special event SDM Gautam Kumar was also present on that day. 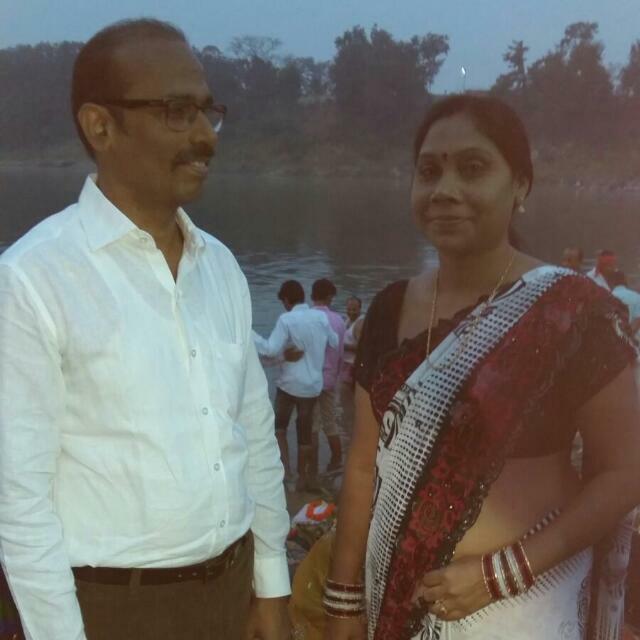 We would like to extend our gratitude to Foundation School Buxar Principal Mr. Vikash Ojha for sponsoring this event. A million thanks to him. 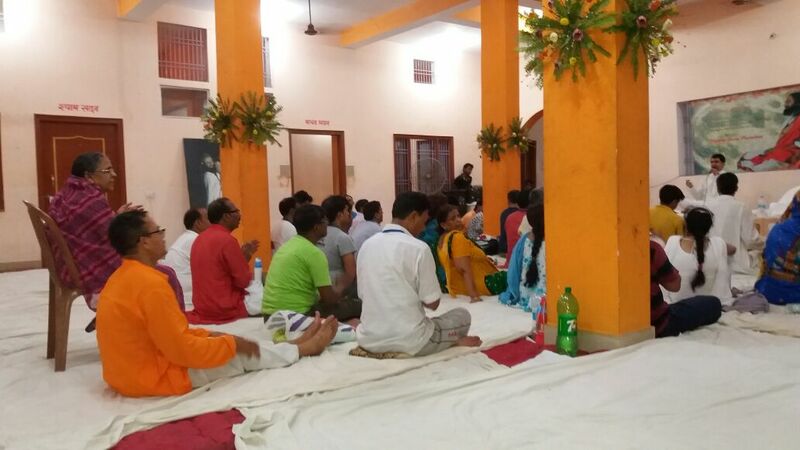 We had organised an Advanced Meditation Program in Buxar from 18th of May to 22nd of May 2016. 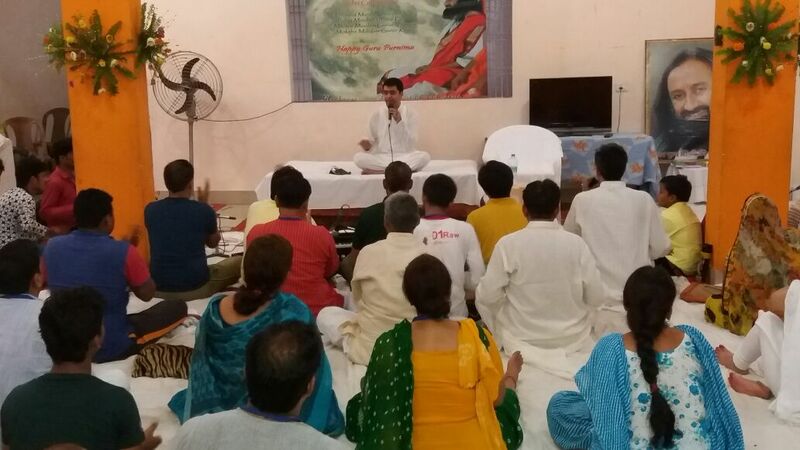 Many participants got enrolled for this Program and it was taken by our International Faculty Gaurav Verma. 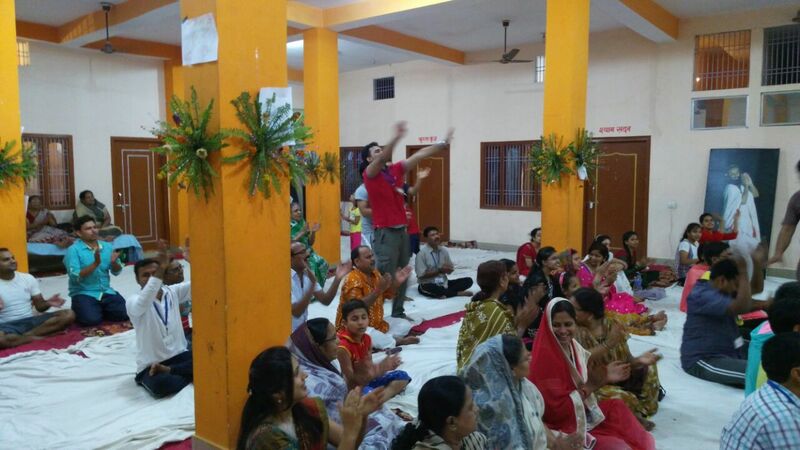 Participants were very happy to have a teacher like him because of his way of talking and guiding. 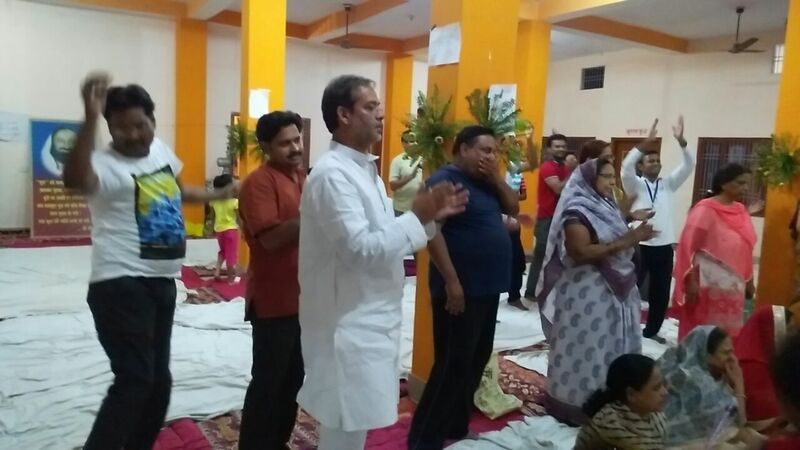 People liked Satsang as well. On the last day, participants shared their experiences about the Program and we are sharing their experiences. 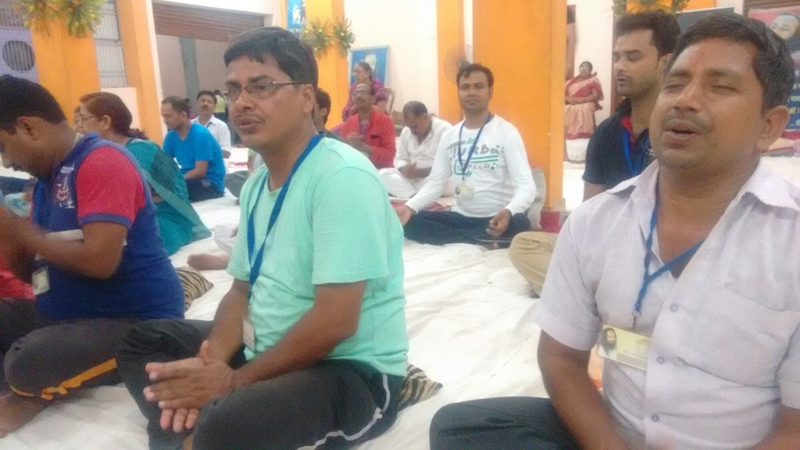 After doing advanced meditation course, I started meditating on a regular basis. 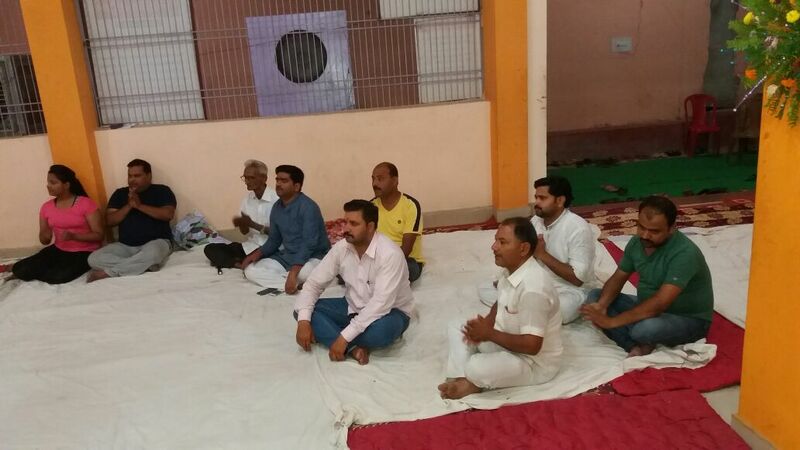 Meditation makes me feel more relaxed and keeps me more active during entire day. Before attending advanced meditation course, my family members and my Patient used to complain that I was aggressive and a bit tempered. But AMP has made me cool, productive, creative, enthusiastic and fresh. 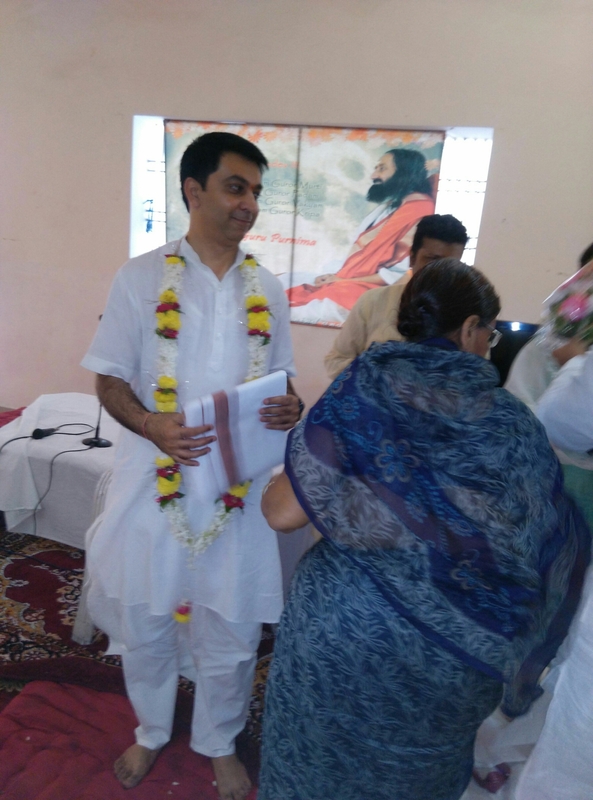 After completing Advanced Course I felt myself and want to leave alone in leisure time. I started talking less and if I feel to talk with anyone then I talk but only few words because I don’t want to talk without any reason. I think, unwanted words break our inner energy. There is a mystery in silence and found it. Because of it now I can keep control over myself and want to be with myself. 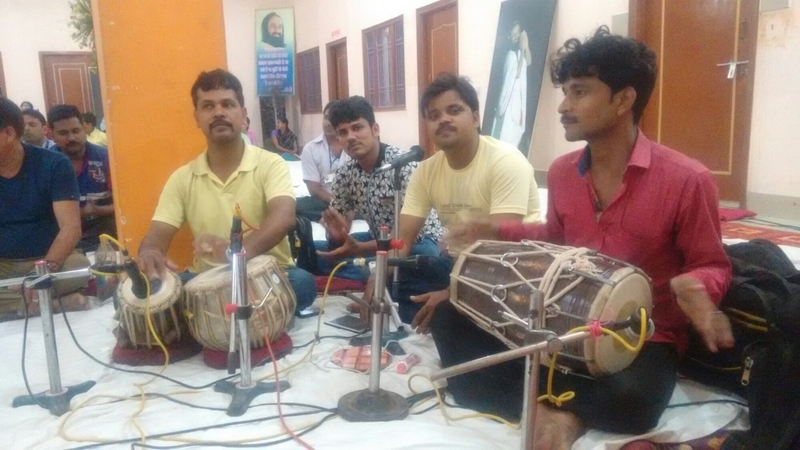 I am feeling something special like Kundali Jagran, Nadi Shodhan, Shatchakra Pargaman, especially the power of Band after Bhastika, it provides lots of energy to me. 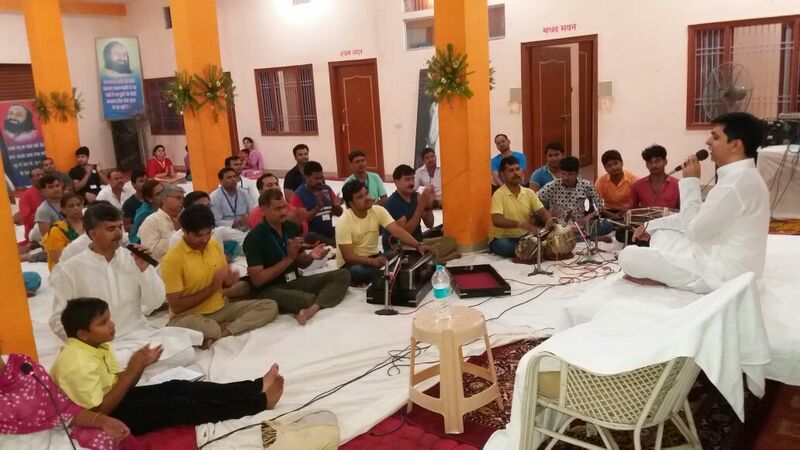 I have many things to share but in few words I am unable to explain everything and in last I want to say one thing that I am happy to have a teacher like Gaurav Verma, many participants, organisers and lot of sweet memories which are unforgettable. Feeling hesitation while sharing that whose day starts with a Cigarette and ends with a Cigarette before going to bed. Yeah, it is I and above lines describe my past but now, I can live without smoking. 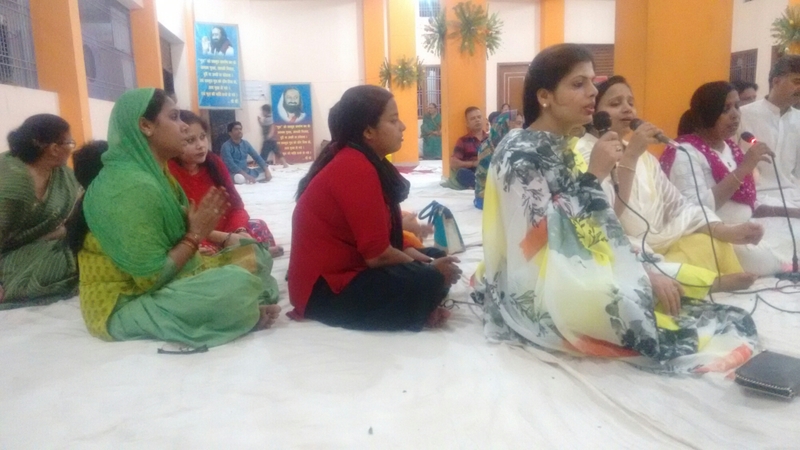 I am thankful to Guru Ji because I wanted to give up my bad habits since last five years and finally.I gave up after completing this course. 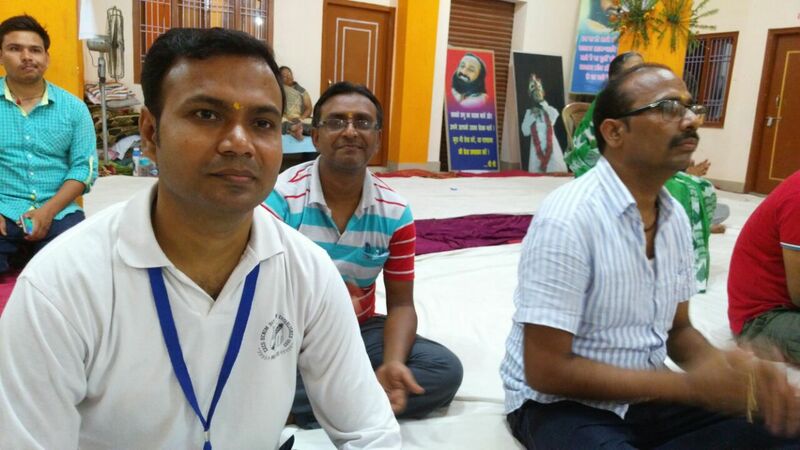 I am also thankful to my teacher, members of Art of Living because of them I have got enrolled for this course. 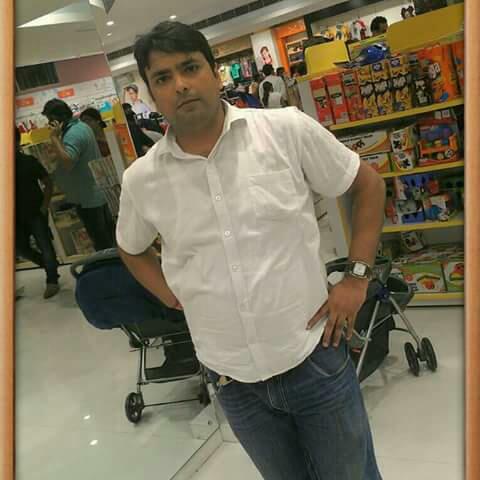 In last, I am thankful to my younger brother HIMANSHU because of him I am sharing my experience, you know it’s difficult to share our bad habits like that but he motivated me to share else I would never had shared. 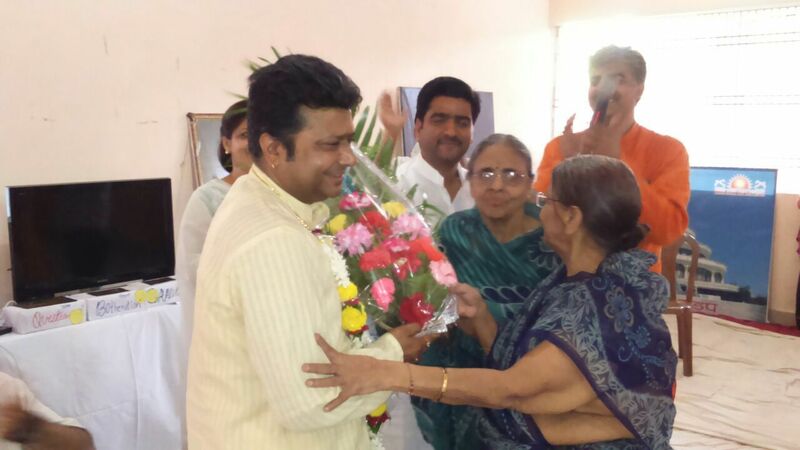 I am very grateful to my teacher Varsha Pandey who told me about AMP. I completed my happiness course last month and I am happy that I was a part of AMP. I felt some kind of problems and met to Dr who gave me some medicine but after doing this course I don’t need any medicine because I feel well now. I think every married person should do this course with her husband or wife because if want to stay happy then make our nearest and dearest one happy. 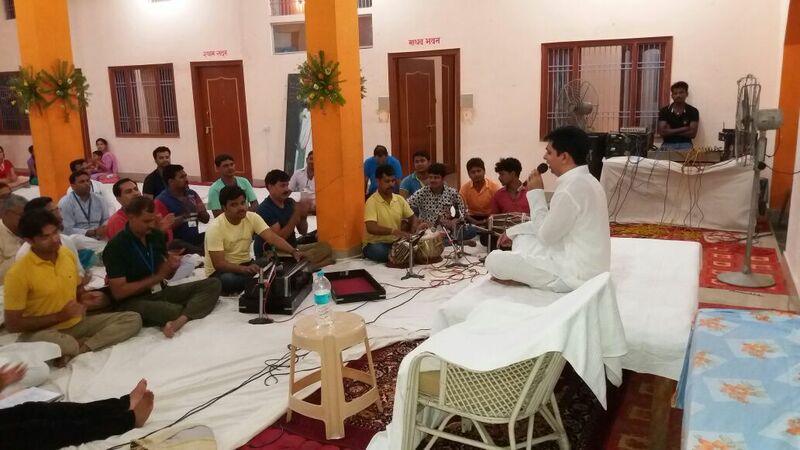 I never ever heard Satsang what Gaurav Verma has sung. 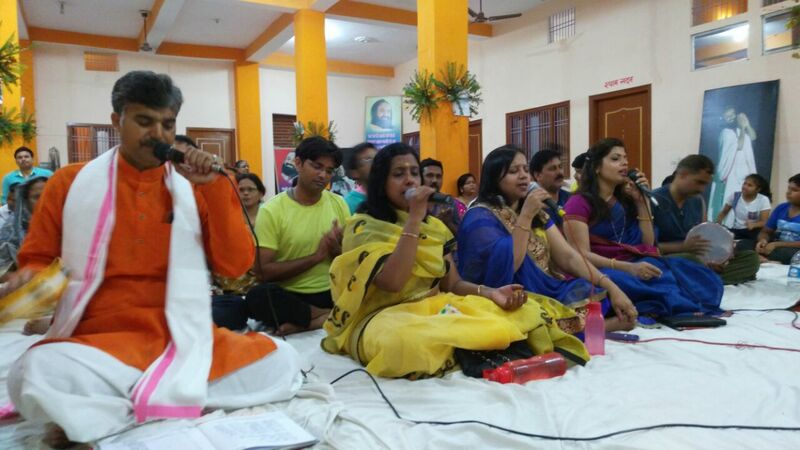 His way to sing Satsang is Amazing. 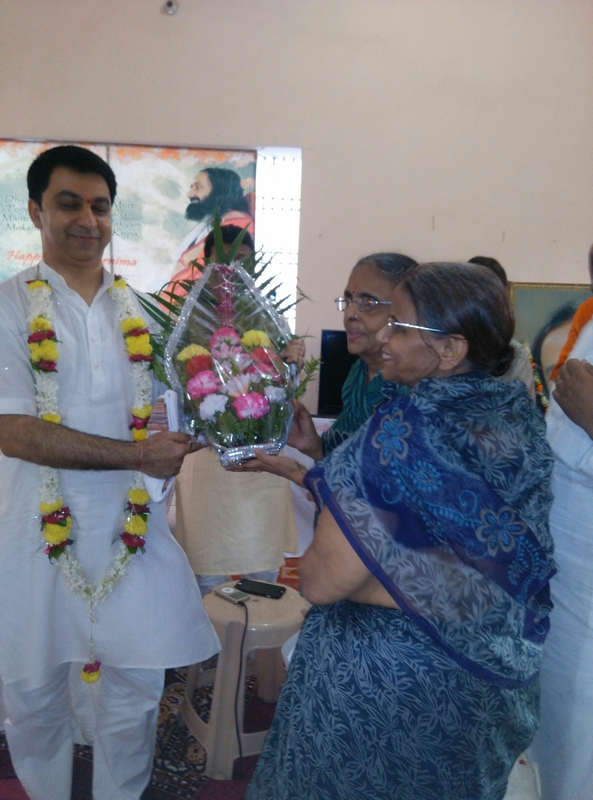 I am grateful to Guru Ji for his great effort to make our life easier and healthy as well. 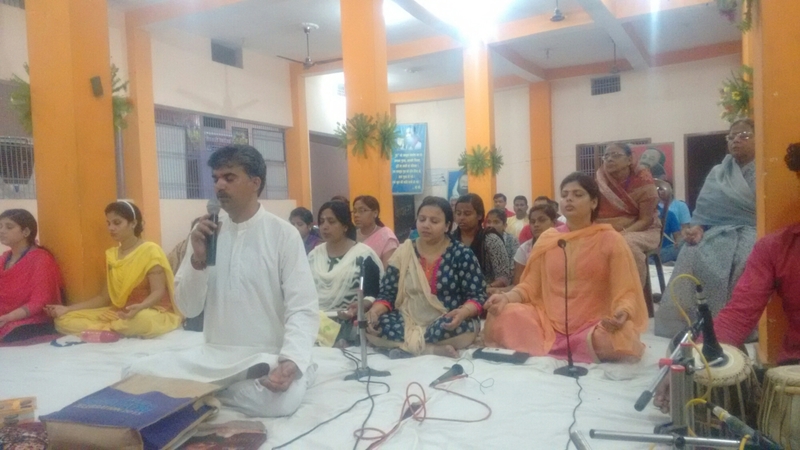 I was suffering from Sugar and when I met a Dr, he advised me to take rest and gave some medicine but after doing this course I felt only one thing that if you are happy then you are free of any kind of disease. I am very happy to be a part of course like this because of its amazing contents which are unexplainable. 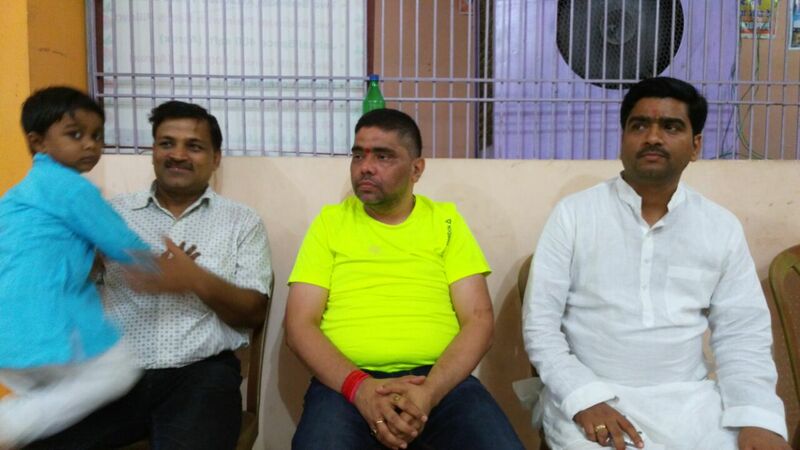 First, I am thankful and grateful to Varsha Pandey and Deepak Pandey who informed me about it. 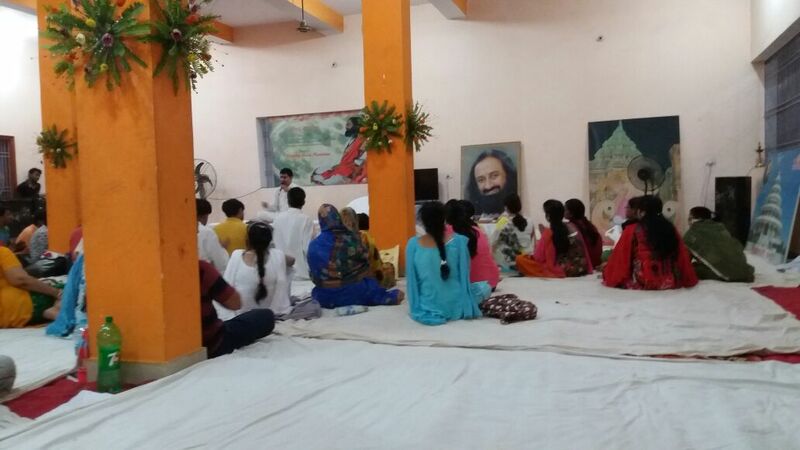 I learnt many things like Yoga, Satsang, Meditation, Pranayam and lots of things. I never ever thought that I will be changed after doing it. I felt myself very positive, very calm, happy and cool. I had amazing experience, never thought that it will be like this but found it life changing and different from what I expected. We all should spread it in our society and make everyone aware about it. There were lot other participants in AMP. We have shared some of the experiences. In future we may post some more interesting experience. 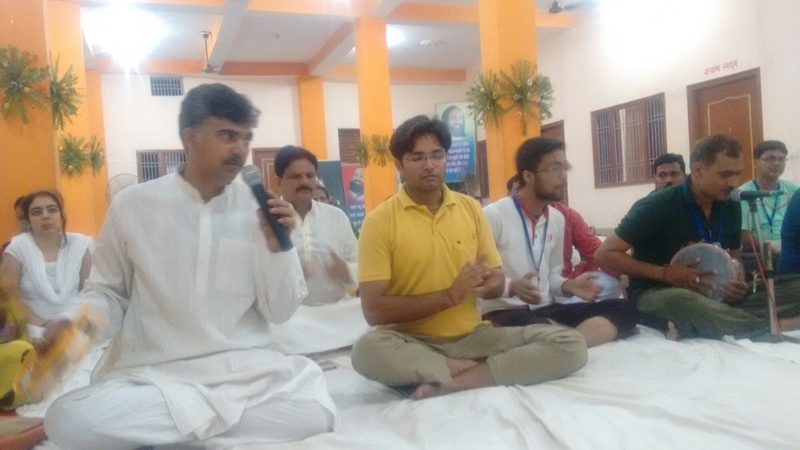 On last day of Advance Meditation Program Gaurav Verma and Ritesh Ji were honored by Deepak Pandey, Varsha Pandey , Jitendra Pandey and our some core volunteers. 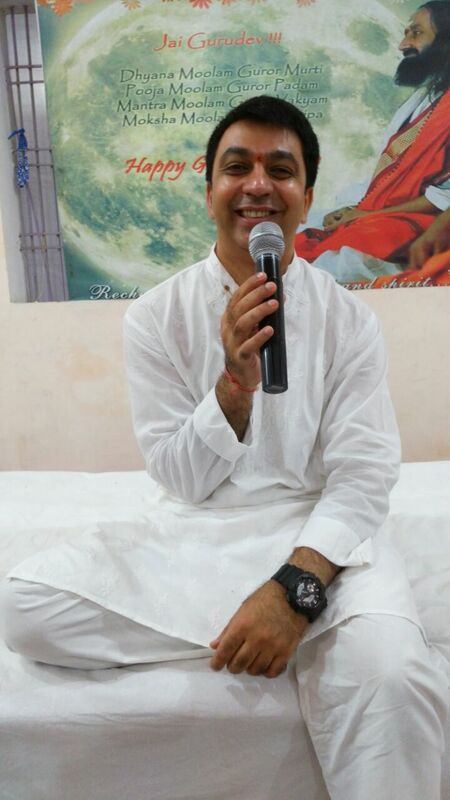 Deepak Pandey was looking so happy on that day because of Gaurav Verma’s presence in our town for special event. 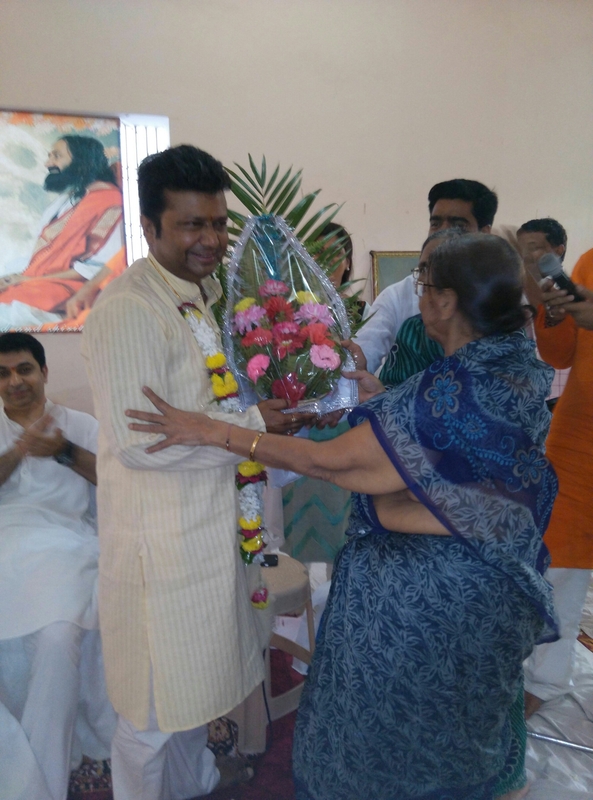 He was guided by Gaurav Verma and got bless. 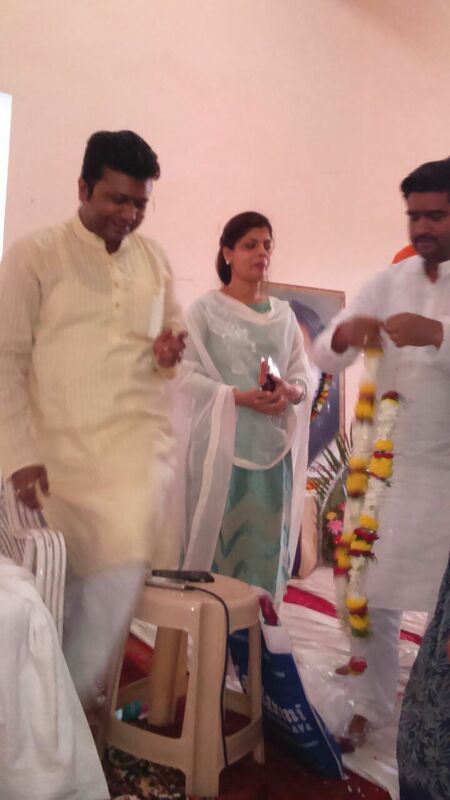 For this special event Ritesh Ji was also present on that day. 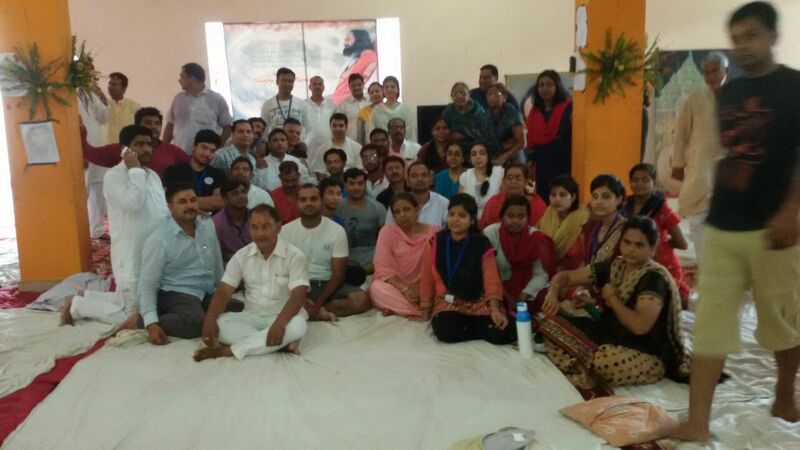 On last day of Advance Meditation Program all participants came together for some snaps. All had great experience of it. 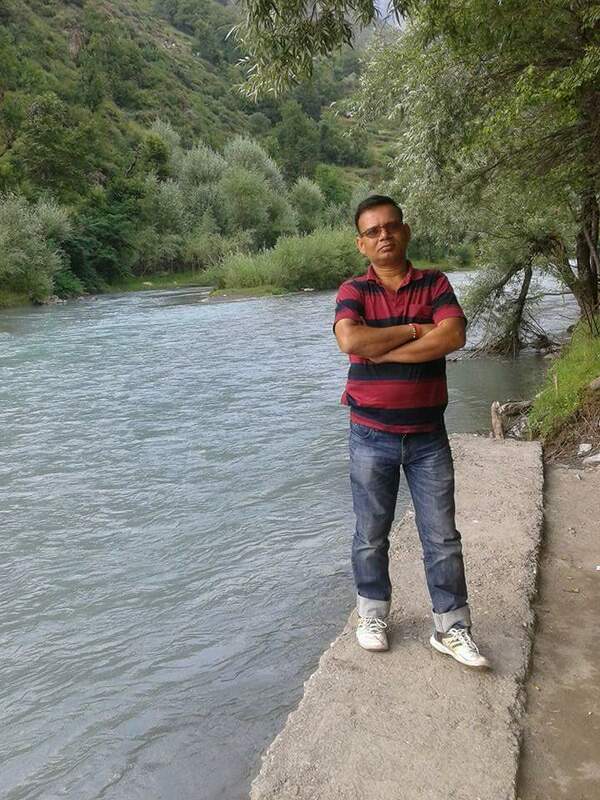 Gaurav Verma(international faculty) will be in our heart forever. After taking above snaps, we had launch and have some fun. 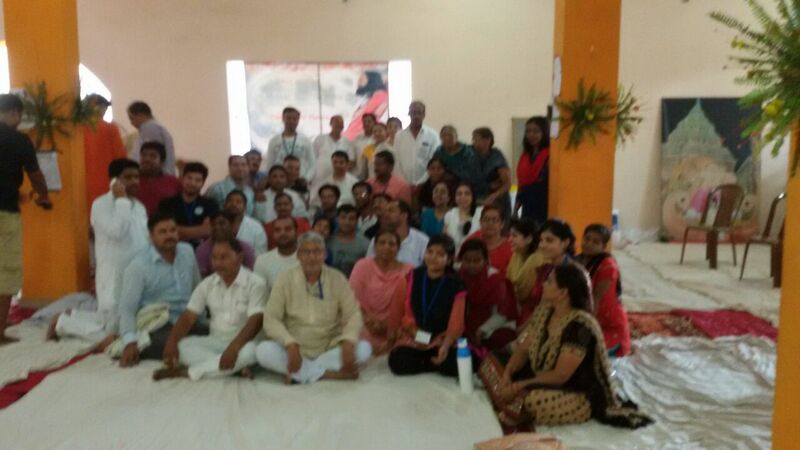 Participants were very thanksful to organisers who had organised such a memorable Program. Our national faculty Jitendra Pandey and Varsha Pandey chated with all of participants on last day and knew their experience of AMP. 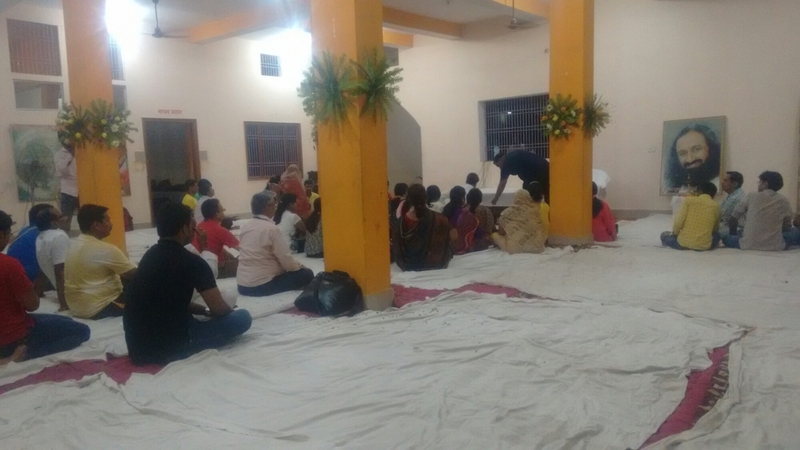 We had earlier posted about Advanced Meditation Program and now we are sharing some photographs of Satsang from 18 to 21st of May 2016. 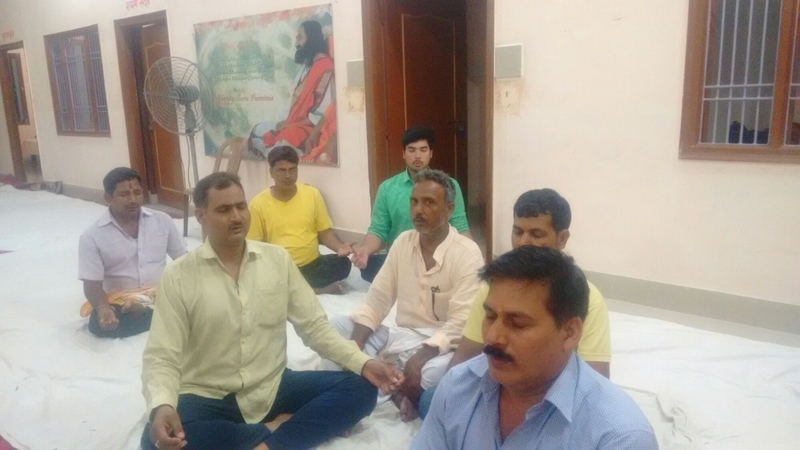 In our town(Buxar) Advanced Meditation Program was held from 18 to 22nd May 2016. This course is taken by our international faculty Gaurav Verma. 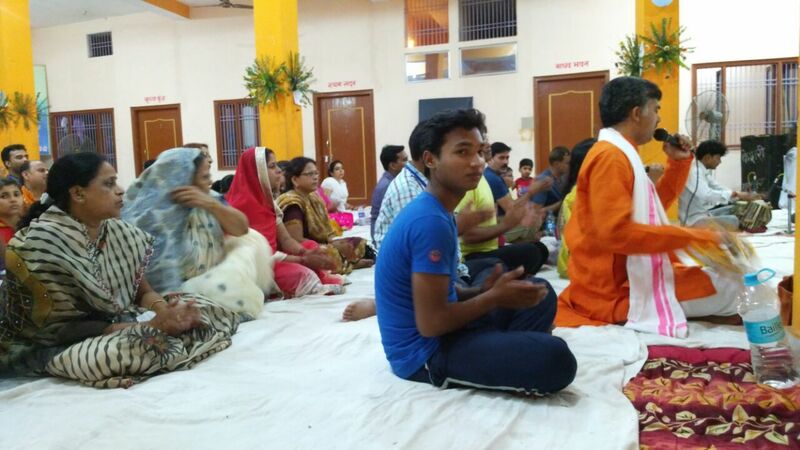 Gaurav Verma used to start Satsang at 7:30pm daily and many people were allowed to come other than participants. 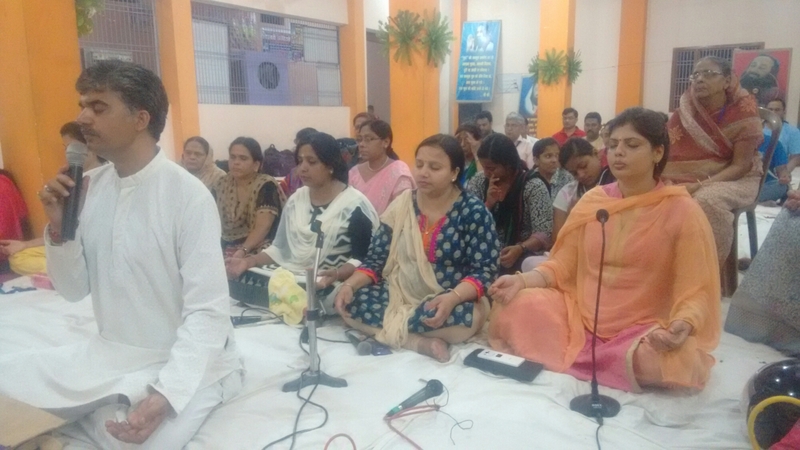 All had great experiences while listening Satsang by Gaurav Verma along with Jitendra Pandey, Varsha Pandey, Kiran Saraf and Savita Saraf. People were told about it by Gaurav Verma. 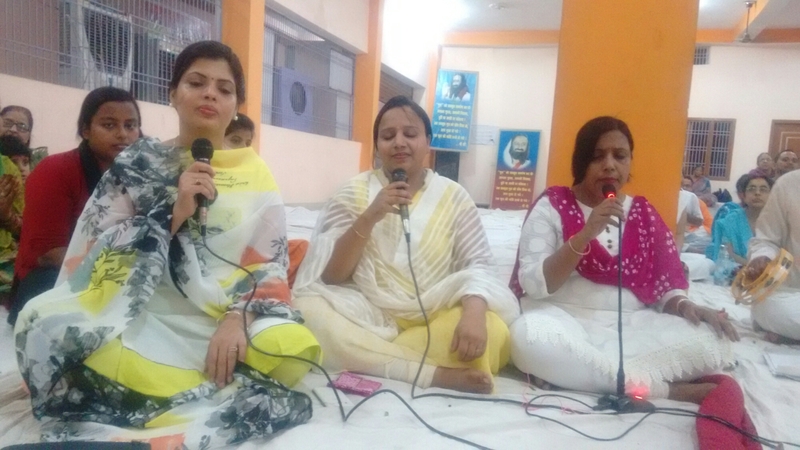 Gaurav Verma singing & chanting skills have appreciated by all of listeners. We are happy to have a Faculty like him. 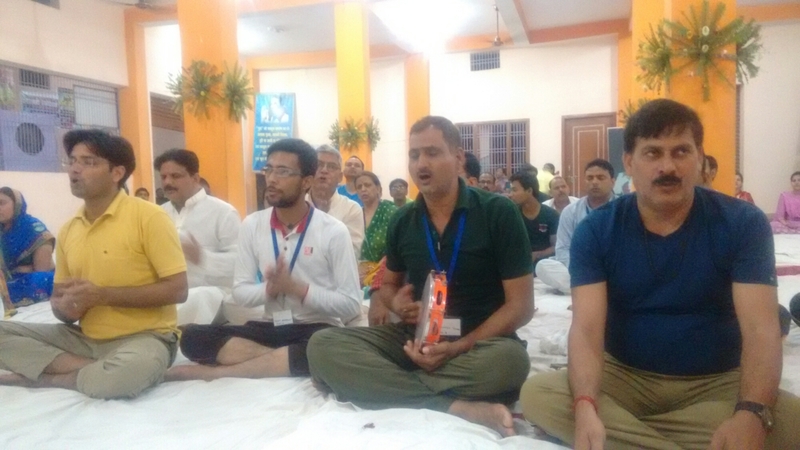 For this particular session our organisers gave their 100% to make this session memorable, specially Deepak Pandey, Jitendra Pandey, Vineet Saraf, Varsha Pandey. Listeners were very very happy. Finally we have started AMP. Great efforts done by our volunteers. For this special occasion we have contacted each and every participants personally and got lots of positive response. 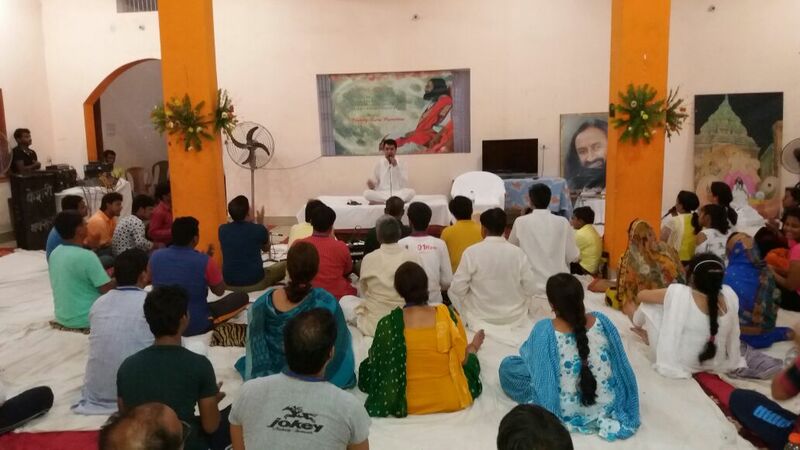 Today many participants got enrolled for Advance Meditation Program that will be taken by Gaurav Verma. 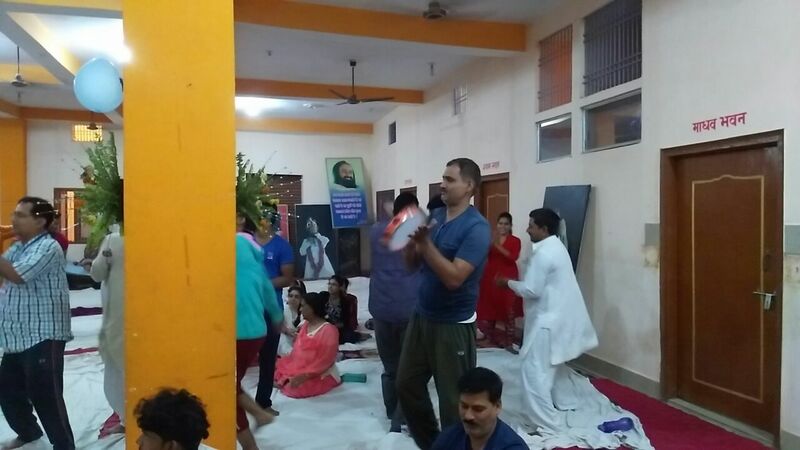 Deepak Pandey and Vineet Saraf personally involved to make this course awesome and memorable. Almost 50+ participants are doing it. Some of them are came from out side city whereas some are came from interior and some of them are Local (Buxar). 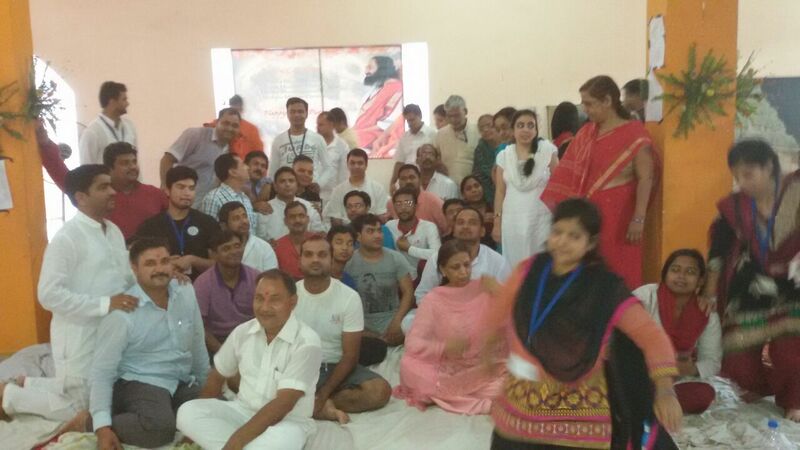 Our other faculties who are assisting this course are Varsha Pandey and Jitendra Pandey. Volunteers who have contributed and gave their 100% are Shubham Pandey, Saurabh, Kiran Saraf, Savita Saraf, Sharad Saraf, Neeraj Mansinghka, Om Prakash Chuabey.